It's Summer Vacation! Now What Do We Do? 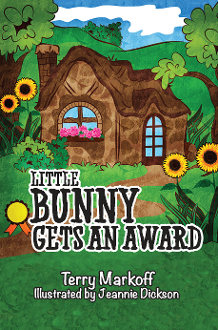 Just this morning Little Bunny had gone happily off to school with thoughts of the awards that he hoped to win at his school’s award ceremony swimming in his head. But there was little chance of that now. As he climbed out of Boggy Pond, all he could think about was his mother’s warning not to get dirty and to make sure that he got to school on time. He wiped mud and wet leaves from his clothes and noticed the sun peeking out from the trees that lined the path to school. Mr. Barker’s dog, Bad Dog.